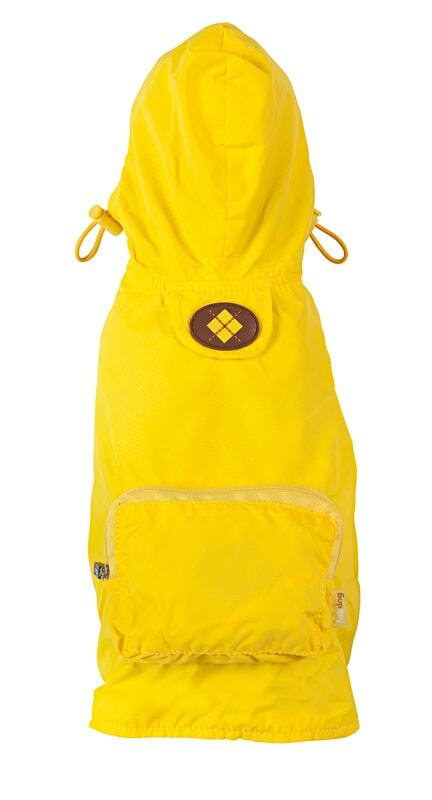 Your puppy loves splashing in puddles. And how could you blame him? 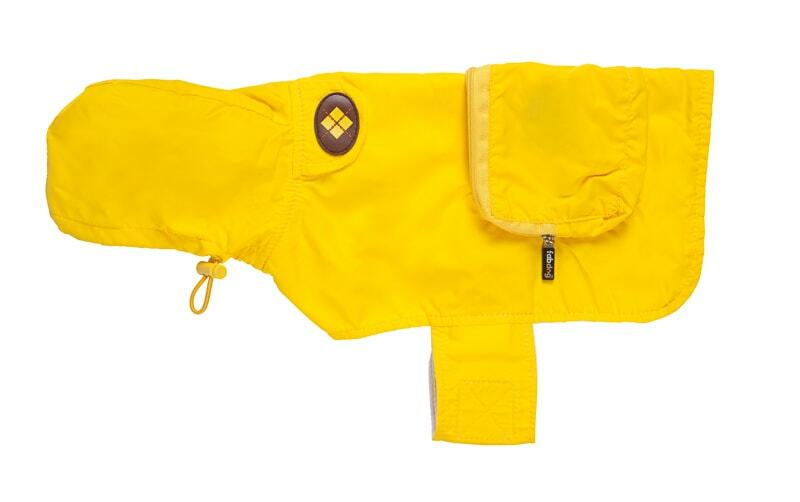 But when he gets inside and shimmies his wet, muddy fur all over your brand new carpet, only this yellow argyle hooded raincoat can save him from getting in trouble. And maybe those puppy dog eyes. 100% Waterproof Nylon Shell. Mesh lining. Adjustable Toggle Hood. Harness Hole. 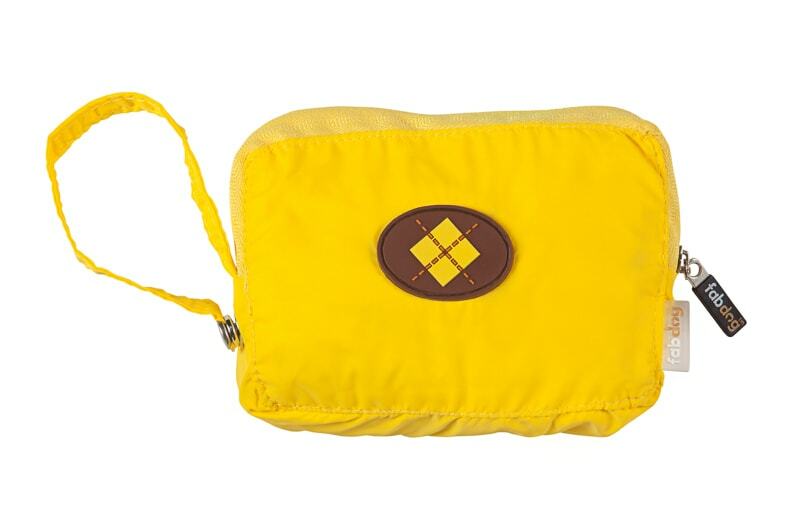 Folds up into outer pocket for Easy Travel. Belly Band Velcro Closure. Machine Washable / Lay Flat to Dry.